Features: 1NO 1NC (SPDT) contact type, round head rotary handle to ON/OFF 2 positions, latching action, 16mm panel cutout diameter. Used widely to control the electromagnetic starter, contactor, relay and other automatic control electric circuits. 100% brand new and high quality, good replacement for your old and broken ones. 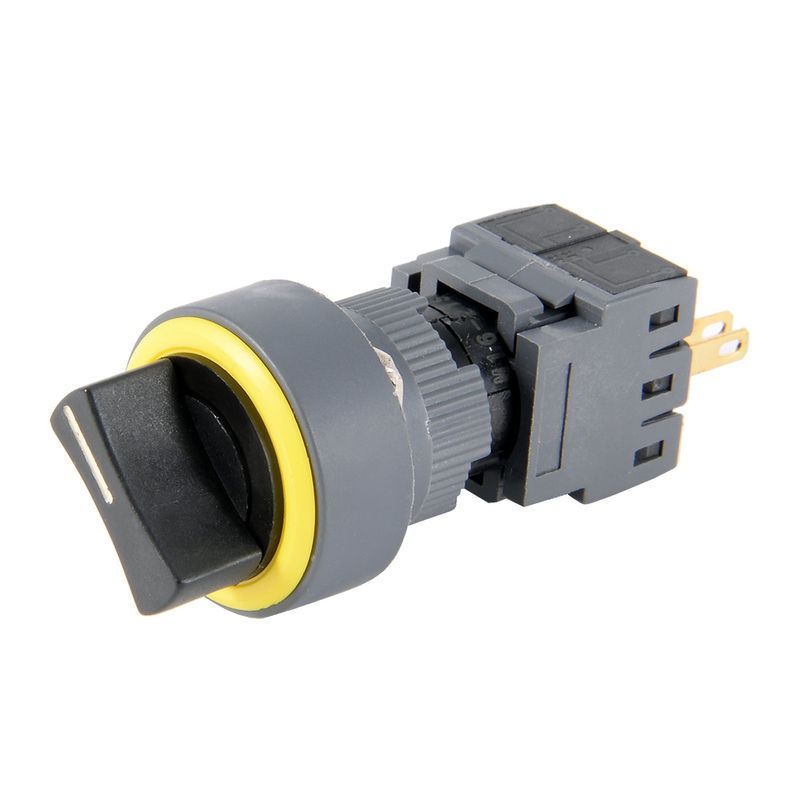 1NO 1NC (SPDT) contact type, round head rotary handle to ON/OFF 2 positions, latching action, 16mm panel cutout diameter.